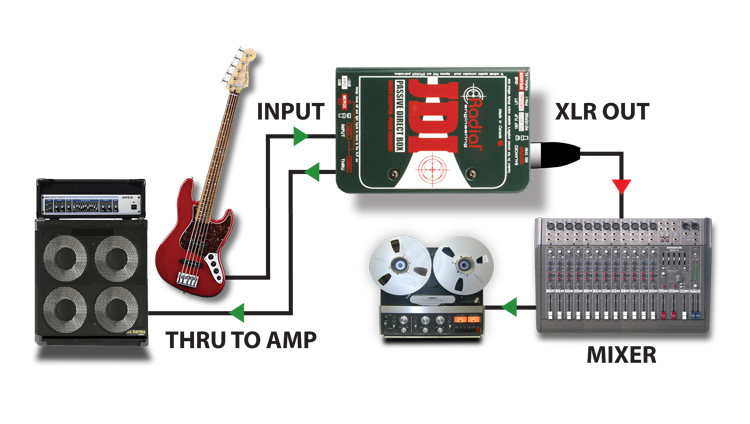 The JDI is often selected for high output bass guitars. It is able to handle huge signal levels without distortion or artifact. 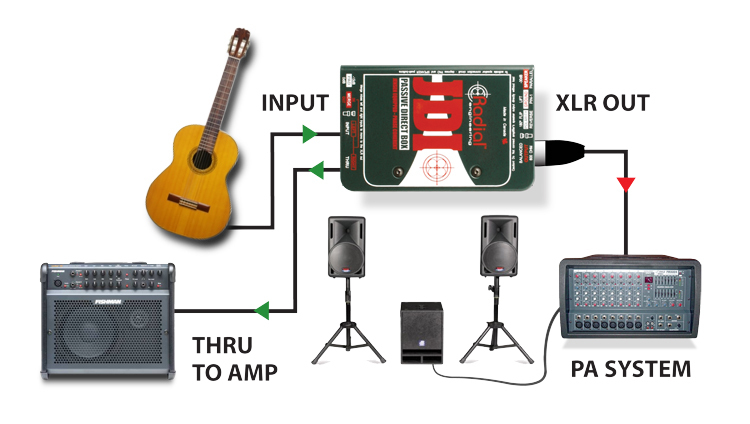 On stage it sends the pure sound of the bass to the PA with minimal loading. In studio, it is perfect for recording direct. 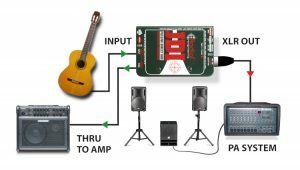 Most acoustic guitars have built-in preamps that can be peaky. 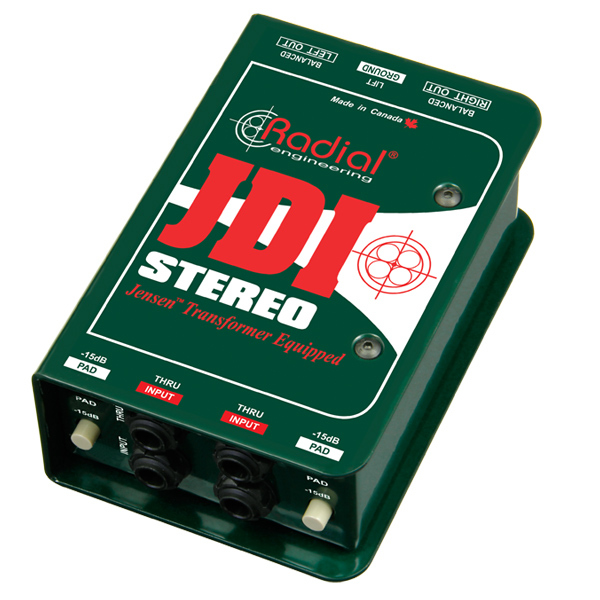 The JDI naturally smoothes out the transients for a warmer tone. 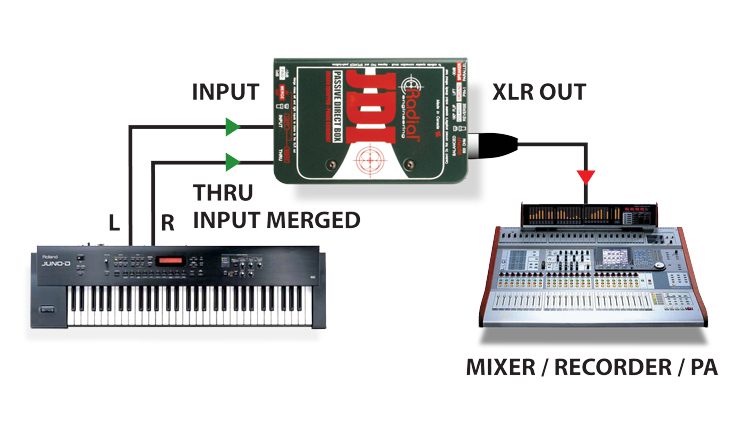 And because the JDI is able to handle huge transients, it will not distort. 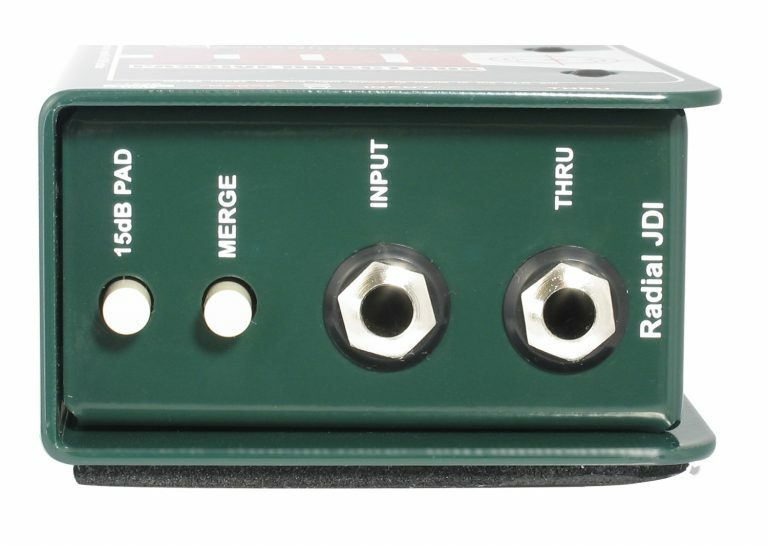 This makes the JDI a great direct box for acoustic guitars. 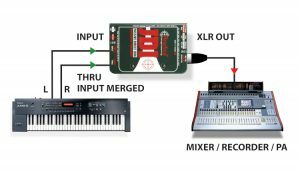 Today's digital keyboards are not only very dynamic, some like digital pianos have a tremendously wide frequency response. 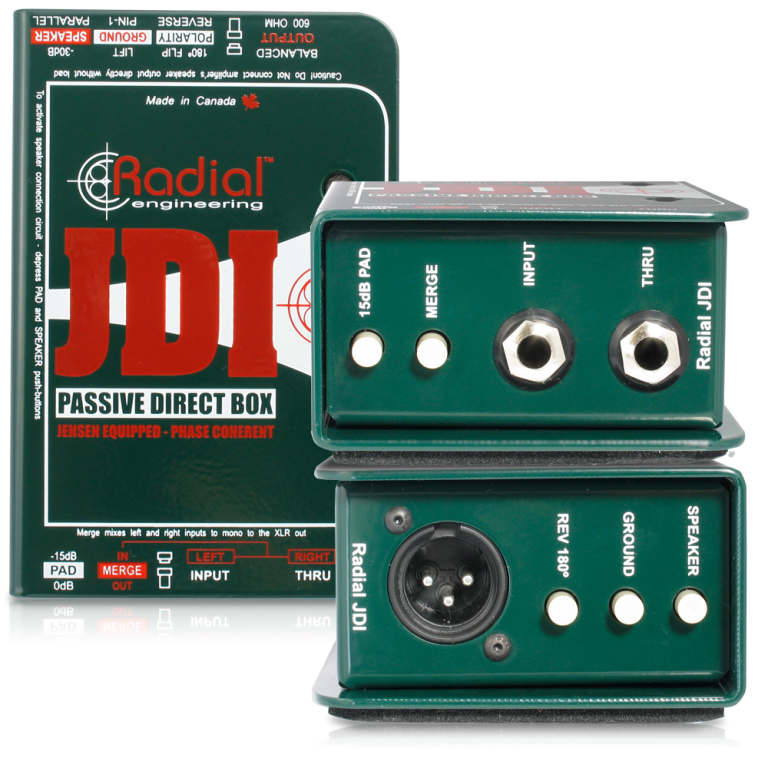 The Radial JDI is able to withstand excessive signal levels at all frequencies without introducing distortion or phase shift. 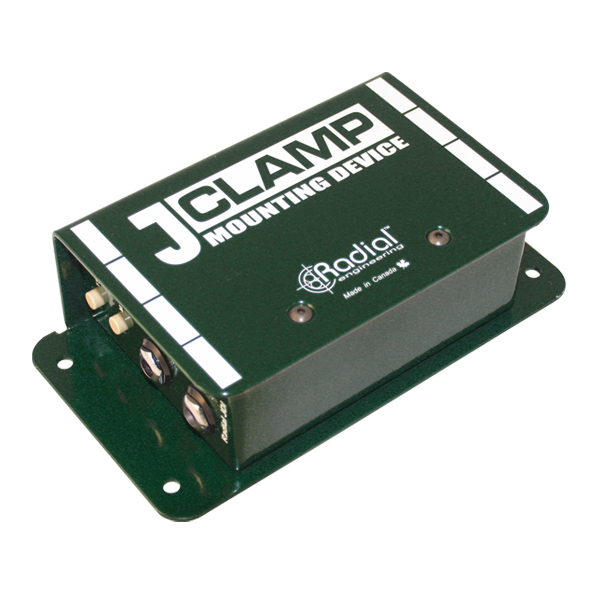 "Our RF noise tests proved the JDI to be flawless. 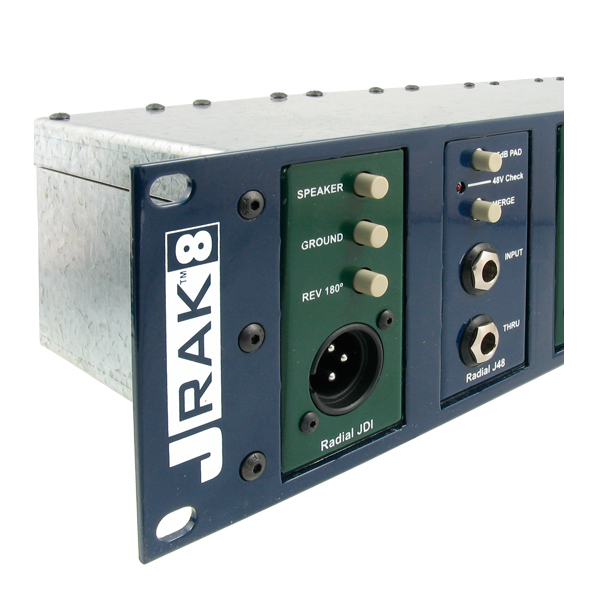 The JDI Mk3 is a great choice when you need a DI box for a synth, an amplifier or an instrument with active pickups. It will also work in reverse as a Reamp." "The best thing you can say about a direct box is that you forget it's there. 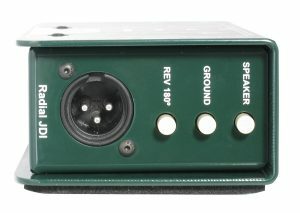 The JDIs are transparent and noise free. They performed very well on every source I fed them, including electric and acoustic guitar and bass. 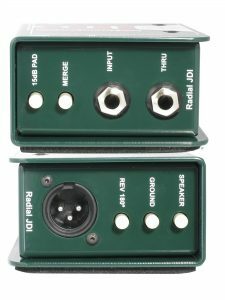 Even in an environment that's occasionally prone to grounding problems and noise, the signal was ultra clean." 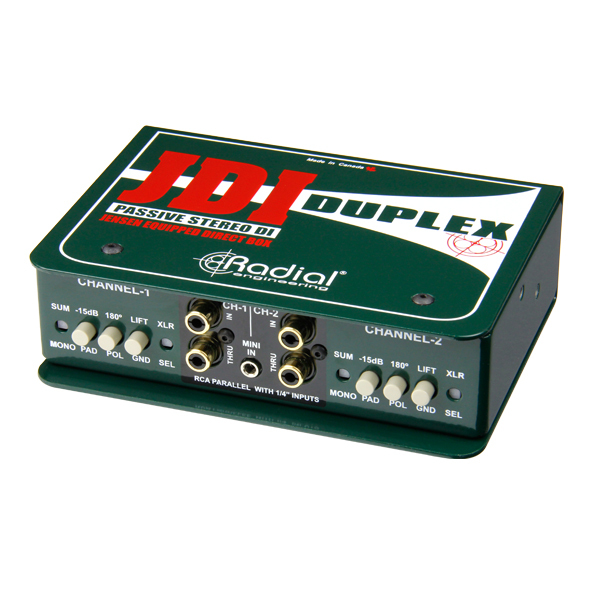 "Radial DI boxes sound - in a word - pure. Compared to these, my old standby active DI has a thinner and harsher tone. No matter what type of signal I put through, the Radial DIs sounded round and natural. Radial has done a superb job with these." 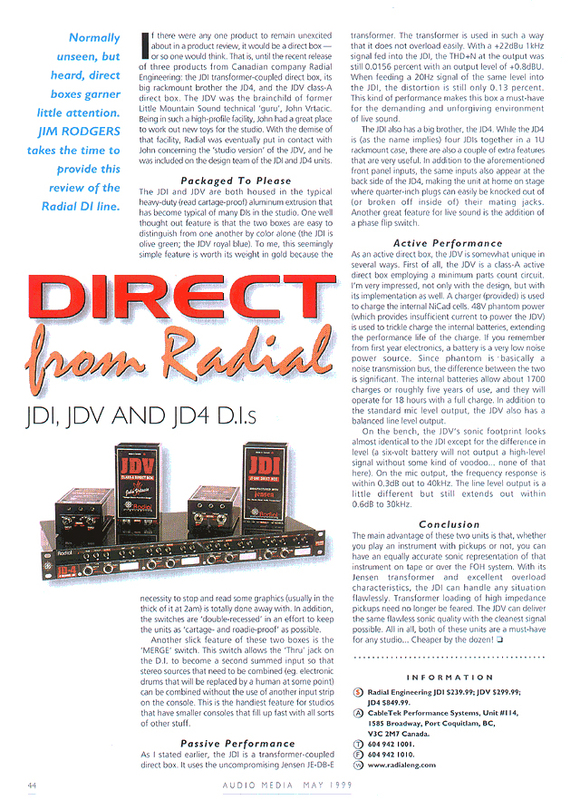 "With its Jensen transformer and excellent overload characteristics, the JDI can handle any situation flawlessly." "The JDI is a winner from every angle. It's roadworthy, it's feature packed and it sounds great! The Radial design team is obviously more than a bunch of white coats who only make it out of the lab once a week to watch Star Trek. They are a team who understand the needs of recording and sound reinforcement engineers and know how to design a product to meet these needs." "I can say with no hesitation that you won't find anything out there offering better performance or more durability for the money." 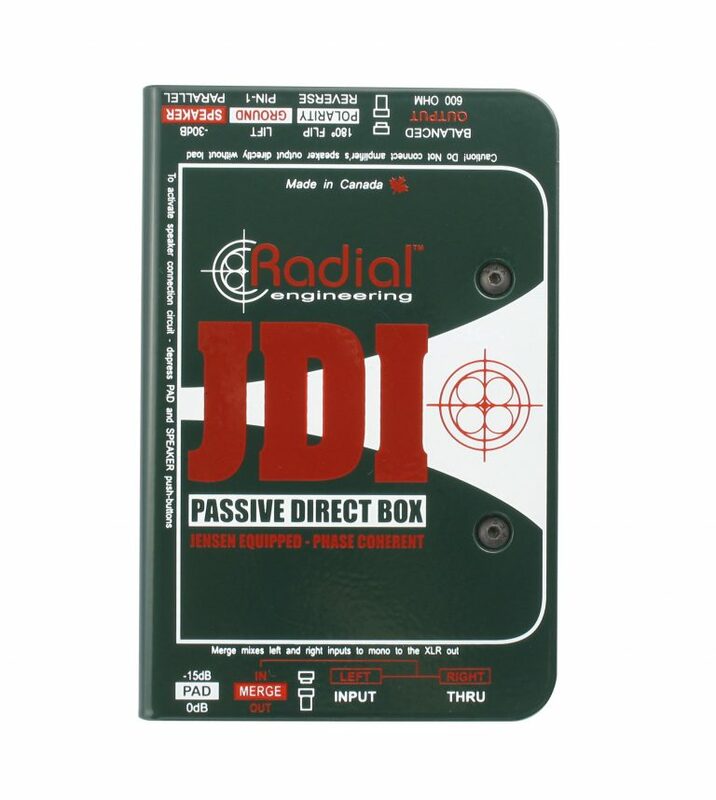 "Radial's JDI passive direct box is amazingly clean and noise free. Its design is a direct result of asking reputable names in the industry what would make up a great direct box." "The frequency response and phase response of the Radial JDI is excellent and the sound of the unit can only be described as completely transparent. This is an excellent passive DI box that will keep on working even after the band's van drives over it." 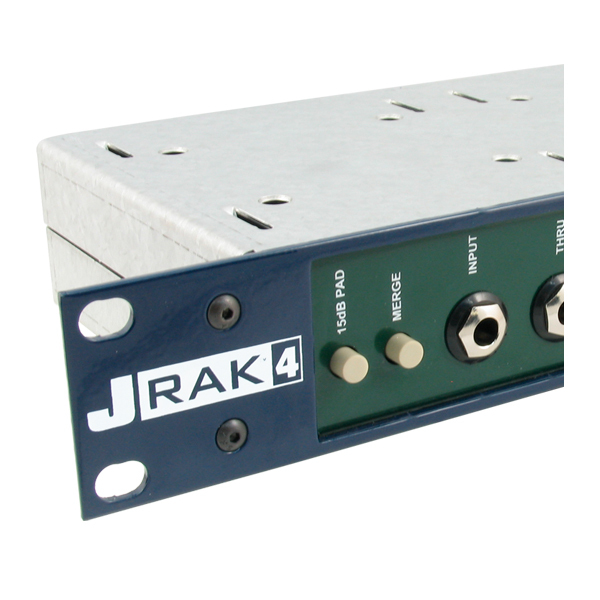 "The Radial J-Class DIs are easily the most reliable & consistent DI products available to the touring artist. Not only do they deliver a clean signal, they also seem to provide a unique warmth which is essential to The National's sound." "The Alan Parsons Live Project band uses a large number of keyboards, acoustic guitars and computer interfaces all of which require quality passive DIs. 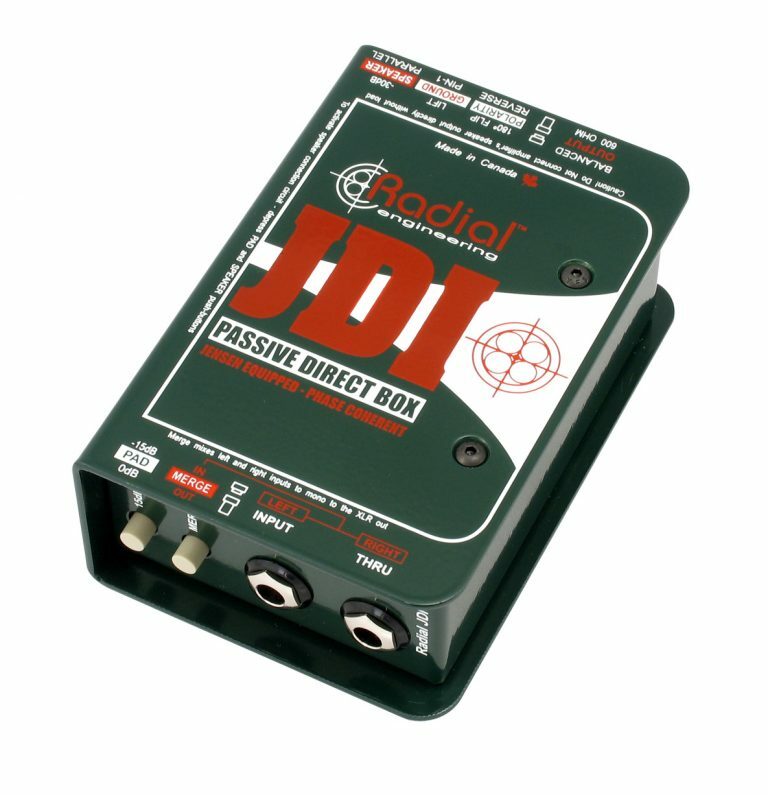 Our lives changed when we started carrying our own Radial DIs on the road and have never had a single issue or breakdown. 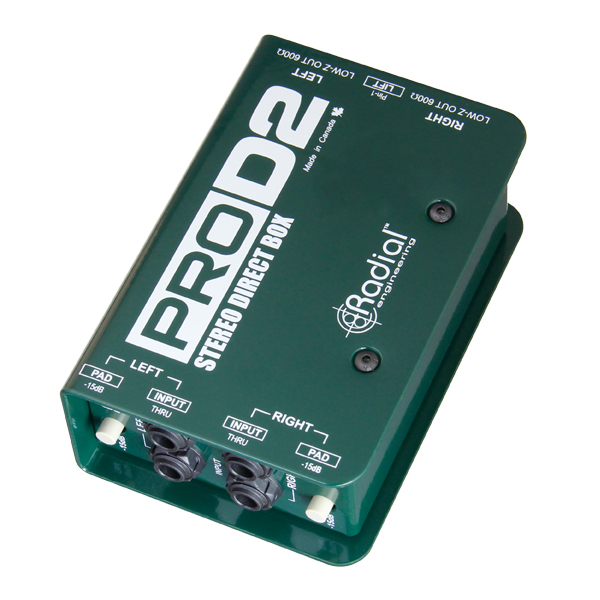 We use the ProDI, ProD2 and the JDI on bass. 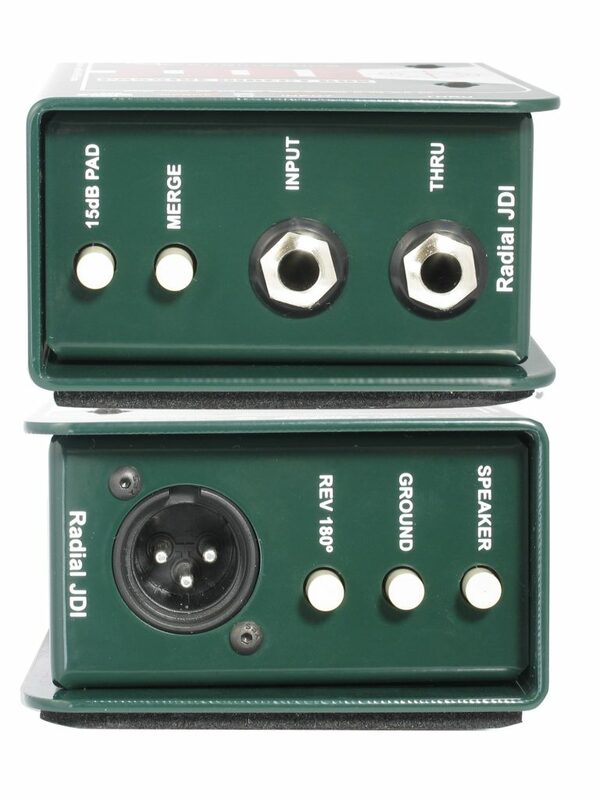 Our Radial Direct Boxes are rugged, reliable, and sound great - so much better than the competition - in fact there is no competition!" 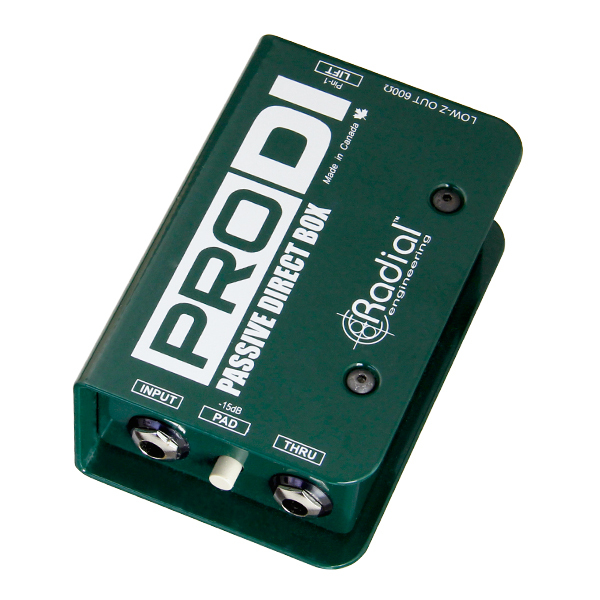 "Radial direct boxes make everything I put through them warm, punchy and clear. They are great DIs!" "Radial makes products no one else has thought to make and builds them better than anyone else can."